RANGER-Multi Medium Jar: Matte. Artist quality matte medium is ideal for gluing, image transfers, sealing art, extending paint, creating glazes and more! Use for paper, metal, glass, plastic, fabric and more. Dries clear and waterproof when dry. 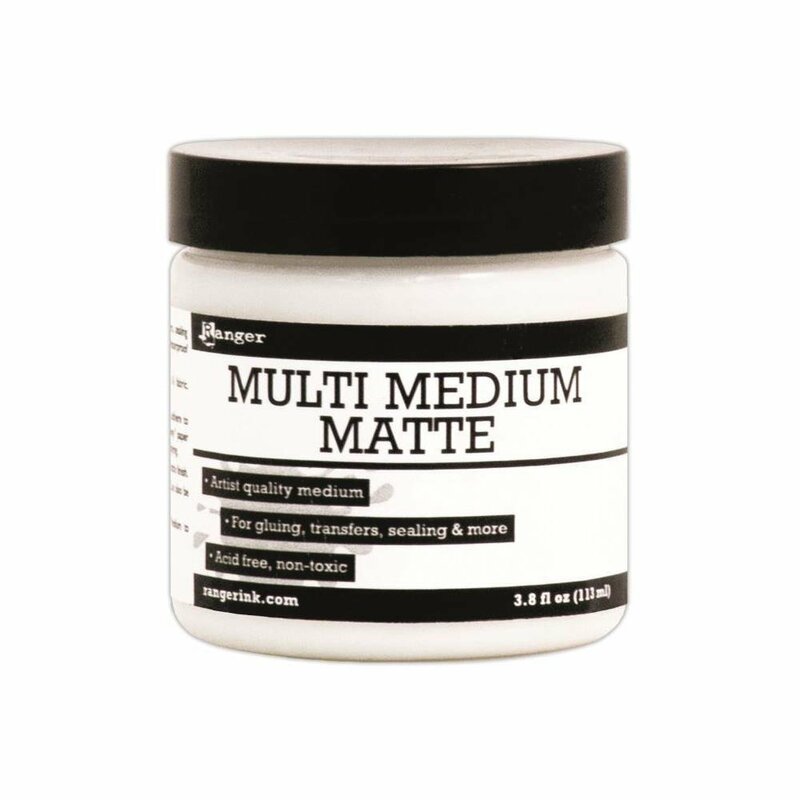 This package contains one 3.8oz jar of multi medium matte. Acid free. Non-toxic.